Courtesy of Tom Douglas, this cozy, self-described "pizzeria with a bread baker's soul' offers unexpected, well-sourced ingredients like foraged mushrooms, house-made charcuterie, and truffle cheese on a base blistered in 600-degree heat. To drink, there's a rotating selection on tap and over 60 bottles and cans of beer to choose from. 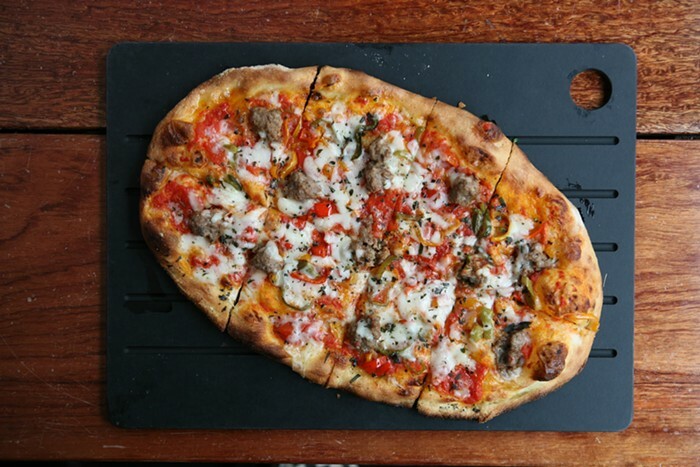 Happy Hour Mon-Fri 3-5 pm ($6 half-size pizzas, rotating drink specials).